Not to be confused with Alec Chamberlain. * Senior club appearances and goals counted for the domestic league only and correct as of 22:59, 3 December 2016 (UTC). Alexander Mark David "Alex" Oxlade-Chamberlain /ˌɒksleɪd ˈtʃeɪmbərlɪn/ (born 15 August 1993) is an English professional footballer who plays as a winger for Premier League club Arsenal and the England national team. After rising to prominence with Southampton during the 2010–11 season aged 17, he signed for Arsenal in August 2011. Scoring twice in his first three games for the club, Oxlade-Chamberlain became the youngest English goal scorer in UEFA Champions League history and has also claimed a regular place in the England Under-21s team. Fans have nicknamed Oxlade-Chamberlain "The Ox", derived from the first part of his surname, as well as his physical tenacity and powerful playing style. Oxlade-Chamberlain made his debut for the senior England side on 26 May 2012 in a 1–0 win against Norway in a friendly. Following this, he received a surprise call-up to the England squad for UEFA Euro 2012, becoming the second youngest player ever to represent England in the European Championships behind Wayne Rooney. Born in Portsmouth, Hampshire, Oxlade-Chamberlain attended the independent St John's College in Southsea, Portsmouth. Oxlade-Chamberlain joined the Southampton Academy at the age of seven and made his professional debut in 2010. On 2 March 2010, he made his first team debut for Southampton, at 16 years 199 days, coming off the bench in a 5–0 victory over Huddersfield Town and became the club's second youngest ever appearance maker behind Theo Walcott. Oxlade-Chamberlain appeared as an 82nd-minute substitute for Jason Puncheon on 8 May 2010 in the final game of the season against Southend United. At the beginning of the 2010–11 season, Oxlade-Chamberlain made his first competitive start on 10 August against Bournemouth in the first round of the League Cup. During the match he scored the second goal of Southampton's 2–0 victory, his first senior goal. On 20 August 2010, shortly after his 17th birthday, Oxlade-Chamberlain signed his first professional contract lasting for three years. His first league start came in a 2–0 loss at home to Rochdale on 4 September 2010. His first league goal came in a 2–1 victory over Oldham on 23 October 2010, which proved to be the match winner, and he scored two more goals and also got an assist in a 4–0 win over Dagenham & Redbridge on 2 November 2010, when he was voted Man of the Match in a league game for the first time. Oxlade-Chamberlain finished the season with 9 goals as Southampton were promoted, and was named in the PFA League One Team of the Year for the 2010–11 season. He was subsequently the subject of transfer speculation and in June his father, Mark Chamberlain, stated he was eager for his son to join Arsenal "as soon as possible" to "continue his development". On 8 August 2011 it was announced that Oxlade-Chamberlain had signed for Premier League club Arsenal. Although neither club involved revealed details of the contractual arrangements, press sources indicated that the fee was a £12 million initial payment which could rise to £15 million with "add-ons". On 28 August 2011, he made his Arsenal debut in the 8–2 defeat away to Manchester United, as a 62nd-minute substitute for Francis Coquelin, thus becoming the 150th player to represent Arsenal in the Premier League. On 20 September 2011, Oxlade-Chamberlain scored his first goal for Arsenal in the 58th minute of a League Cup match against Shrewsbury Town, with a drive from 25 yards. Arsenal won 3–1. On 28 September 2011, Oxlade-Chamberlain scored the opening goal in the eighth minute of his Champions League debut against Greek side Olympiacos, running diagonally onto an Alex Song long pass and past several defenders before finishing into the corner of the goal. In doing so, he became the youngest Englishman to score in the Champions League, taking over from teammate Theo Walcott. Oxlade-Chamberlain started his first Premier League match for Arsenal in a 2–1 defeat to Manchester United at the Emirates Stadium on 22 January 2012, contributing an assist to a Robin van Persie goal. Arsène Wenger replaced him with Andrei Arshavin in the 78th minute, with the score at 1–1. Not only did Arsenal fans boo the decision to take Chamberlain off, Van Persie also remonstrated with the manager. On 4 February 2012, Oxlade-Chamberlain celebrated his first two Premier League goals in a home game against Blackburn Rovers which finished in a 7–1 victory to Arsenal. Following this match, Wenger praised Oxlade-Chamberlain for his fast development. After the second leg of the Champions League second round against A.C. Milan, Oxlade-Chamberlain earned many plaudits for his impressive run of form, and for his display against strong European opposition; he was described by Marco van Basten as a 'gem', whilst then Arsenal captain Robin van Persie stated Oxlade-Chamberlain was the future of Arsenal and England. At the end of his first season in the Premier League, Oxlade-Chamberlain was nominated for PFA Young Player of the Year; he was the youngest player on the shortlist and he eventually lost out to Tottenham Hotspur's Kyle Walker, four years his senior. Oxlade-Chamberlain scored his first goal of the 2012–13 season from 25 yards out in a 6–1 home victory over Coventry City in the League Cup. On 19 December 2012, it was announced that Oxlade-Chamberlain, along with teammates Aaron Ramsey, Kieran Gibbs, Jack Wilshere and Carl Jenkinson, signed a new long term contract with Arsenal. Oxlade-Chamberlain scored his only Premier League goal of the 2012–13 season in a 7–3 home win against Newcastle United. On the opening day of the 2013–14 season, Oxlade-Chamberlain assisted Olivier Giroud's goal in a 3–1 defeat at home to Aston Villa, however he came off injured and it was later revealed he would be out for between six weeks and three months, missing England's remaining World Cup qualifiers against Poland and Montenegro. Despite not playing for Arsenal since picking up the injury, Chamberlain was still nominated for the Golden Boy Award 2013 in recognition of his performances earlier in the year for England and Arsenal. On 2 February, Oxlade-Chamberlain scored his first two goals of the season with a brace in Arsenal's 2–0 win over Crystal Palace. Oxlade-Chamberlain missed the last few weeks of the season, including the 2014 FA Cup Final, after picking up a groin injury. Despite this he was still called up to England's squad for the 2014 FIFA World Cup. Oxlade-Chamberlain began the season by winning the 2014 FA Community Shield with Arsenal beating Manchester City 3–0 at Wembley. On 27 September, he scored in the North London derby in a 1–1 draw against Tottenham. On 4 November, he scored to put Arsenal 3–1 up against RSC Anderlecht in the UEFA Champions League, with the game eventually finishing 3–3. He also scored in the last-16 match against AS Monaco in February. Two games later, he was injured in a 2–1 win against Manchester United in the FA Cup and had to be withdrawn just after half time. It was later confirmed that he would be out for three to four weeks due to the hamstring injury. On 30 May 2015, Oxlade-Chamberlain came on as a substitute in the 2015 FA Cup Final and set up Olivier Giroud to make it 4–0; the final score against Aston Villa at Wembley Stadium. On 2 August 2015, Oxlade-Chamberlain scored the only goal in a 1–0 victory over Chelsea in the Community Shield. On 23 February 2016, he suffered a serious knee injury in a 2–0 home defeat by Barcelona in the Champions League, which was initially expected to prevent him playing for up to eight weeks. A further injury in May during training prevented his return for the rest of the season, including the Euro 2016 tournament. Oxlade-Chamberlain started on the bench for Arsenal's opening day defeat to Liverpool, however, Oxlade-Chamberlain replaced the injured Alex Iwobi to score Arsenal's second goal in a 3–4 defeat. Oxlade-Chamberlain was called up to England Under-18 squad for the match against Poland which took place on 16 November 2010 at Adams Park. England won the match 3–0 and Oxlade-Chamberlain played the first 45 minutes before he was substituted. He was called up to the England Under-19 squad to face Germany on 8 February 2011, but on 2 February he was promoted into the England Under-21 side for a friendly match away to Italy on 8 February. In the match, he came on as a 60th-minute substitute, replacing Henri Lansbury. Shortly after his introduction, he showed a great turn of pace to create a chance as he raced past the Italian full-back and hit the byline, but no England player could reach his cross. In turn, he had a chance from a cross by Josh McEachran, but could only hit a weak shot at the goalkeeper. England lost the match 1–0 with the Italians scoring from a penalty two minutes from time. Oxlade-Chamberlain made his first start for the Under-21s against Azerbaijan on 1 September 2011 and claimed two assists in a lively performance. He also made an impressive cameo performance against Israel on 5 September, coming on in the second half to claim three assists (including winning a penalty) to push England from a 1–0 deficit to an impressive 4–1 comeback victory. A month later he scored a hat-trick against Iceland as England won 3–0 in Reykjavik. On 10 November 2011, Chamberlain put in another man of the match performance as The Young Lions again trounced Iceland, this time 5–0, to remain top of Group 8. On 29 February 2012, he netted a late penalty as England U21 made certain of at least a play-off spot for the 2013 UEFA European Under-21 Football Championship with a 4–0 victory over Belgium. On 16 May 2012, Oxlade-Chamberlain was called up to the 23-man senior England national football team squad for UEFA Euro 2012, to be held in Poland and Ukraine. He made his debut for the senior England side on 26 May 2012 in a 1–0 win against Norway in a warm-up game, coming on as a substitute for Ashley Young in the second half. He made his first senior start for England on 2 June playing 66 minutes before being replaced by Theo Walcott in a 1–0 win against Belgium at Wembley, another warm-up game, and England's final game before the tournament. On 11 June, he made his major international tournament debut when he started in England's opening game of the UEFA Euro 2012 tournament against France. On 12 October 2012, Oxlade-Chamberlain scored his first senior international goal, in a 5–0 victory over San Marino. He scored again in the return match against San Marino on 22 March 2013, which England won 8–0. On 2 June 2013, he scored against Brazil in the official opening of the refurbished Maracanã Stadium, with the game finishing 2–2. He came on as a second-half substitute and scored on a half-volley to bring the score to 1–1. Oxlade-Chamberlain is the son of former Stoke City, Portsmouth and England international player Mark Chamberlain. His uncle, Neville Chamberlain, was also a professional footballer. His brother Christian also plays football, and is currently in the academy at Alex's hometown club Portsmouth. Oxlade-Chamberlain attended St John's College, Portsmouth. The Sun revealed that Oxlade-Chamberlain nearly chose rugby union over football when he was offered a trial at London Irish. Oxlade-Chamberlain played rugby as a scrum half or full back. My senior school didn't play football. It was a rugby and cricket school and as I was on a sports scholarship, I was forced to play rugby. I played scrum-half or full-back and I was all right at it. I got a trial for London Irish but couldn't do it because Southampton wouldn't let me. As of match played 12 October 2015. England score listed first, score column indicates score after each Oxlade-Chamberlain goal. † Did not play in final match. 1 2 3 Hugman, Barry J., ed. (2010). The PFA Footballers' Who's Who 2010–11. Edinburgh: Mainstream Publishing. p. 324. ISBN 978-1-84596-601-0. ↑ "Player Profile: Alex Oxlade-Chamberlain". Premier League. Retrieved 31 July 2012. 1 2 McNulty, Phil (26 May 2012). "Norway 0 – 1 England". The Ullevaal Stadium, Oslo: BBC Sport. Retrieved 12 June 2012. ↑ Edwards, Richard (3 June 2012). "Euro 2012: Alex Oxlade-Chamberlain Was Always a Star in the Making". Daily Express. Retrieved 12 June 2012. ↑ "Southampton 5 Huddersfield 0". BBC Sport. 2 March 2010. ↑ "Johnstones Paint trophy final preview". Football League. 27 March 2010. Archived from the original on 9 August 2010. ↑ "Southampton 3-1 Southend". BBC. Retrieved 25 November 2016. ↑ "Saints vs Bournemouth – Match Facts". Southampton FC. 10 August 2010. Archived from the original on 27 September 2010. Retrieved 10 August 2010. ↑ "Alex Signs". Southampton FC. 20 August 2010. Archived from the original on 22 August 2010. Retrieved 20 August 2010. ↑ "Alex Chamberlain stars as Saints beat Dagenham & Redbridge". Southern Daily Echo. 2 November 2010. 1 2 "Dad offers Chamberlain advice". Sky Sports. 1 June 2011. Retrieved 11 June 2011. ↑ "Oxlade-Chamberlain seals move to Arsenal". Arsenal FC. 8 August 2011. Retrieved 8 August 2011. ↑ Wilson, Jeremy (7 August 2011). "Arsenal to complete £12 million signing of Alex Oxlade-Chamberlain from Southampton". Daily Telegraph. UK. Retrieved 12 August 2011. ↑ McNulty, Phil (29 August 2011). "Man Utd 8 – 2 Arsenal". BBC Sport. Retrieved 30 August 2011. ↑ "Behind the Numbers: Premier League players". Arsenal FC. 30 August 2011. Retrieved 30 August 2011. ↑ "Arsenal 3 – 1 Shrewsbury". BBC Sport. 20 September 2011. Retrieved 21 September 2011. ↑ Rostance, Tom (28 September 2011). "Arsenal 2 – 1 Olympiakos". BBC Sport. Retrieved 28 September 2011. ↑ "Arsene Wenger hits back after abuse from Arsenal fans". BBC Sport. 22 January 2012. Retrieved 5 February 2012. ↑ Hassan, Nabil (4 February 2012). "Arsenal 7 – 1 Blackburn". BBC Sport. Retrieved 5 February 2012. ↑ "Arsenal have a gem like Alex Oxlade-Chamberlain". Arsenal need to buy four to keep RvP. Sunday Mirror. 10 March 2012. Retrieved 12 June 2012. ↑ "Arsenal Skipper in Awe of New Wayne Rooney". soccerplay.net. 26 March 2012. Retrieved 12 June 2012. ↑ "Walker wins PFA award" Sky Sports. 22 April 2012. Retrieved 22 April 2012. ↑ "Arsenal 6–1 Coventry" BBC Sport. 26 September 2012. Retrieved 26 September 2012. ↑ "Five young internationals sign new contracts". Arsenal F.C. Official Website. 19 December 2012. Retrieved 19 December 2012. ↑ Cross, John (30 December 2012). "Ox hails fox: Walcott can expect 'sign da ting' stick after treble tames Toon". Daily Mirror. Retrieved 31 December 2012. ↑ "Arsenal 1–3 Aston Villa" BBC Sport. 17 August 2013. Retrieved 21 August 2013. ↑ "Alex Oxlade-Chamberlain: Arsenal midfielder 'out for three months'" BBC Sport. 20 August 2013. Retrieved 21 August 2013. ↑ "Arsenal trio nominated for European gong | Arseblog News – the Arsenal news site". News.arseblog.com. 2014-03-28. Retrieved 2014-05-12. ↑ "Arsenal 2–0 Crystal Palace" BBC Sport. 2 February 2014. Retrieved 2 February 2014. ↑ Mokbel, Sami (2014-04-23). "Alex Oxlade-Chamberlain to be nursed by Arsenal as persistent groin injury causes concern ahead of World Cup". Dailymail.co.uk. Retrieved 2016-02-01. ↑ "Arsenal 3–0 Manchester City" BBC Sport. 10 August 2014. Retrieved 2 April 2015. ↑ "Arsenal 1–1 Tottenham" BBC Sport. 27 September 2014. Retrieved 2 April 2015. ↑ "Arsenal 3–3 RSC Anderlecht" BBC Sport. 4 November 2014. Retrieved 2 April 2015. ↑ "Arsenal 1–3 Monaco" BBC Sport. 25 February 2015. Retrieved 2 April 2015. ↑ "Manchester United 1–2 Arsenal" BBC Sport. 9 March 2015. Retrieved 2 April 2015. ↑ "Arsenal: Alex Oxlade-Chamberlain out 'for three to four weeks'" BBC Sport. 13 March 2015. Retrieved 2 April 2015. ↑ "FA Cup final – FT: Arsenal 4–0 Villa". BBC. 30 May 2015. ↑ Cryer, Andy (2 August 2015). "Arsenal 1 Chelsea 0". BBC Sport. Retrieved 3 August 2015. ↑ McNulty, Phil (23 February 2016). "Arsenal 0 Barcelona 2". BBC Sport. Retrieved 23 July 2016. ↑ "Alex Oxlade-Chamberlain: Arsenal midfielder may miss eight weeks". BBC Sport. 1 March 2016. Retrieved 23 July 2016. ↑ "Alex Oxlade-Chamberlain: Arsenal and England midfielder to miss Euro 2016". BBC Sport. 6 May 2016. Retrieved 23 July 2016. ↑ "Premier League: FT: Arsenal 3–4 Liverpool – Live – BBC Sport". Bbc.co.uk. 2016-08-14. Retrieved 2016-09-24. ↑ "Alex gets an England call". Southern Daily Echo. 30 October 2010. Archived from the original on 1 November 2010. Retrieved 6 November 2010. ↑ "England vs Poland". Football Association. 16 November 2010. Retrieved 3 February 2011. ↑ "Chamberlain Called Up". Southampton FC. 26 January 2011. Retrieved 26 January 2011. ↑ "Saints starlet gets U21s call". Sky Sports. 2 February 2011. Retrieved 3 February 2011. ↑ Vesty, Marc (8 February 2011). "Italy U21s 1–0 England U21s". BBC Sport. Retrieved 9 February 2011. ↑ Bradbury, Jamie (1 September 2011). "England hit Azeris for six". The FA. Retrieved 5 September 2011. ↑ Bradbury, Jamie (5 September 2011). "Comeback kings see off Israel". The FA. Retrieved 5 September 2011. ↑ "Iceland U21 0–3 England U21". BBC Sport. 6 October 2011. Retrieved 7 October 2011. ↑ "Lansbury leads England stroll against Belgium". England 4–0 Belgium. UEFA. 29 February 2012. Retrieved 25 May 2012. ↑ Gibson, Owen (16 May 2012). "England Euro 2012 squad: John Terry included after Ferdinand left out". The Guardian. Retrieved 12 June 2012. ↑ McNulty, Phil (2 June 2012). "England 1 – 0 Belgium". Wembley Stadium: BBC Sport. Retrieved 12 June 2012. ↑ McNulty, Phil (11 June 2012). "Euro 2012: France 1 – 1 England". England hold on for France draw. Donbass Arena, Donetsk: BBC Sport. Retrieved 12 June 2012. 1 2 McNulty, Phil (12 October 2012). "England 5–0 San Marino". BBC Sport. Retrieved 4 March 2016. 1 2 McNulty, Phil (22 March 2013). 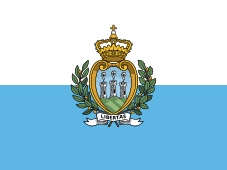 "San Marino 0–8 England". BBC Sport. Retrieved 4 March 2016. 1 2 McNulty, Phil (2 June 2013). 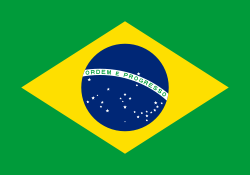 "Brazil 2–2 England". BBC Sport. Retrieved 4 March 2016. ↑ "Alex Oxlade-Chamberlain boosted England against Brazil – Hodgson". BBC Sport. 2 June 2013. Retrieved 3 June 2013. ↑ Leitch, Adam (3 March 2010). "Alan Pardew thinks Southampton will need some luck to make play-offs". Southern Daily Echo. Retrieved 20 August 2010. ↑ "Portsmouth sign new batch of academy scholars". Portsmouthfc.co.uk. Retrieved 2016-02-01. ↑ Jiggins, Paul (8 October 2011). "Arsenal winger Alex Oxlade-Chamberlain nearly chose rugby over football". The Sun. Retrieved 9 October 2011. ↑ "Games played by Alex Oxlade-Chamberlain in 2009/2010". Soccerbase. Centurycomm. Retrieved 24 November 2013. ↑ "Games played by Alex Oxlade-Chamberlain in 2010/2011". Soccerbase. Centurycomm. Retrieved 24 November 2013. ↑ "Games played by Alex Oxlade-Chamberlain in 2011/2012". Soccerbase. Centurycomm. Retrieved 24 November 2013. ↑ "Games played by Alex Oxlade-Chamberlain in 2012/2013". Soccerbase. Centurycomm. Retrieved 24 November 2013. ↑ "Games played by Alex Oxlade-Chamberlain in 2013/2014". Soccerbase. Centurycomm. Retrieved 21 December 2015. ↑ "Games played by Alex Oxlade-Chamberlain in 2014/2015". Soccerbase. Centurycomm. Retrieved 25 May 2015. ↑ "Games played by Alex Oxlade-Chamberlain in 2015/2016". Soccerbase. Centurycomm. Retrieved 18 September 2016. ↑ "Games played by Alex Oxlade-Chamberlain in 2016/2017". Soccerbase. Centyurcomm. Retrieved 26 October 2016. 1 2 "Oxlade-Chamberlain, Alex". National Football Teams. Retrieved 4 March 2016. ↑ McNulty, Phil (18 November 2014). 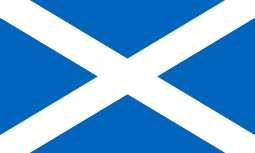 "Scotland 1–3 England". BBC Sport. Retrieved 4 March 2016. ↑ McNulty, Phil (12 October 2015). "Lithuania 0–3 England". BBC Sport. Retrieved 4 March 2016. ↑ Archer, Bruce (2014-05-17). "Arsenal win the FA Cup: This should lift the weight and allow the Gunners to be whole again". Mirror.co.uk. Retrieved 2016-02-01. 1 2 "A. Oxlade-Chamberlain". Soccerway. Perform Group. Retrieved 9 April 2016. ↑ "Spurs' Gareth Bale wins PFA player of the year award". BBC Sport. 17 April 2011. Retrieved 10 June 2014. Wikimedia Commons has media related to Alex Oxlade-Chamberlain.